He joined the Hearbreakers in 1982 after Ron Blair decided to leave the music business, and he probably would still have been with the band when Tom Petty died except for one tiny little fact: he ended up being a junkie. If you’ve ever been in a band with an addict, then you probably can empathize with what the Heartbreakers went through as heroin took over Epstein’s life. And by the time they recorded Echo, it was clearly a huge fact in the day-to-day operations of the Heartbreakers to the point where Epstein isn’t on the album cover, having missed the photo shoot. 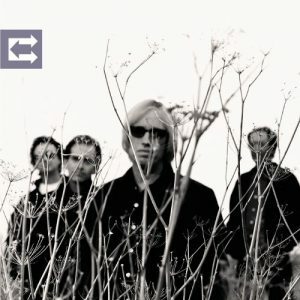 That said, it was hard for Tom Petty to do much about it: not only had he been living in Mr. Brownstone’s house — kicking only because of a (rich rock star) treatment where he put him to sleep for a couple of days to get through the worst of the withdrawals, and then monitored him for months — this wasn’t yet a Brian Jones on Let it Bleed situation. Indeed, Epstein was still making significant contributions to their music, like for example, the background vocal hook on Echo’s best track, “Swingin'” an intense story song that Petty says was ad-libbed in the studio. Well maybe, but with a mournful harmonica and Benmont Tench’s piano leading the way, “Swingin'” has a chorus that was almost instantly memorable. That’s Howie Epstein not just providing the hook but also the harmony. Later in the song, Petty provides examples of who she (and eventually “we”) went down swingin’ like: Benny Goodman Glenn Miller, Tommy Dorsey, Sammy Davis, and you think, OK, ha ha pretty funny, but then he ends it with Sonny Liston, and it gets more serious. Also making it more serious: a surprisingly explosive guitar solo from Mike Campbell, contrasting with the mid-tempo harmonica & piano groove, adding momentum without speeding the song up. And then again at the end, Campbell plays a more contemplative solo, winding around the rest of the music until Petty also starts soloing into the fade. On the live version I posted below, Petty’s solo is a lot longer. But despite all of that, “Swingin'” really comes down to Howie Epstein’s vocal hook.